Carol is the owner of Carol Kurth Architecture + Interiors in Bedford, New York. She specializes in architecture and interiors, and does some beautiful work. She’s a popular keynote speaker who’s sought after for her insights on architecture, design, sustainability and design trends. She’s won multiple awards and has been featured in New York Times, Wall Street Journal, and more. She’s been featured on NBC News and MTV Cribs. She’s a long time friend of Mark’s and he’s learned so much from her. This week on EntreArchitect Podcast, 5 Steps to Success and Relevance in Architecture with Carol Kurth, FAIA. Carol grew up in Washington Heights in the northern tip of Manhattan. Looking across the Hudson River, she could see the New Jersey cliffs in the distance. She was really interested in crafts growing up, particularly making dolls and doll houses. When she was 13, she took a class at The Cloisters on doll-making and the New York Times featured her. She ended up going to The Bronx High School of Science and loved her technical drawing and drafting class. A distant relative, Irwin Chanin, who was very philanthropic and had lots of buildings named after him. He also designed the Chanin Building. Carol was very close to his wife growing up, and her aunt recognized Carol’s passion for dolls and dollhouses and encouraged her. She attended City College’s School of Architecture and loved being at an architecture school in the middle of the city where your professors were practicing architects whose work in the city you could actually see. How did you start practicing architecture? Carol worked throughout school for professors or doing part-time jobs. She worked in Seattle for a while and then got a job at the end of her fourth year where she ended up becoming a partner, marrying her former husband, and building a practice. In 1995 she went off on her own and opened her firm in Bedford. 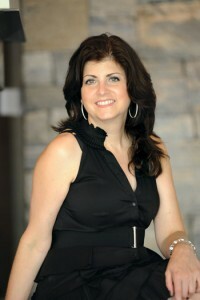 She’s been specializing in residential and commercial architecture. Many are on complicated sites, and Carol has always been undaunted by cliffs. In the beginning, Carol was in a firm where they did a little bit of everything and she didn’t feel the passion there. For her, the passion always came from the site, the building, and the client’s vision. There’s no two sets of clients, budgets, or sites that are alike, and the variety is what she thrives on. She loves the wholistic vision of working with a client to find a site all the way down to deciding on the table settings. Architects were pretty much advised to market and advertise until 1978, and architects didn’t really get the message until the mid 1980s. There was a long lag time between the logistics of allowing marketing happened and when architects actually went to do it. Carol felt she was on the early end and was always fascinated with the media. What is the relevance of architecture and design to clients? How do we keep ourselves fresh and at the forefront? Big firms have big marketing and PR divisions in their firms, perhaps 3-5 people who are dealing with their marketing. That means small firms need to know that too. Carol would spend the first hour of her day returning calls to new clients or doing something public relations and marketing wise like writing a paragraph, scheduling a photoshoot, or reaching out to a magazine. With social media these days, most people are already marketing. If you hone in on that and take it to the next level, even just once a week, that will increase your marketing presence. One small firm issues is for single practitioners who do everything on their own. It’s very daunting. Can you be your most effective and best self as an architect and professional as a sole proprietor? Maybe the model needs to be rethought to three people. Can you figure out how to delegate tasks? The time you spend teaching someone to do a task is an investment someone else moving the ball forward on that task. The next time, you’ll have that time available because someone else has taken that task on. What tasks do you not like or not excel at that you can hand off to someone else? Get out there and interact with others. You have to put yourself out there. Sit down with real estate brokers and show them examples of your work to get your name out into your community. Once you’ve made initial connections, keep up with people. Carol is a big advocate of the hand-written thank you note. If she sees an article about a client in the newspaper, she clips it, writes a quick note and tosses it in the mail. After that, she might have an opportunity to catch up that leads to another opportunity. The little effort to touch base makes all the difference. How important do you you think submitting for awards is? Carol loves when her great project are recognized for the hard work that’s been done. Receiving awards adds value to the team and to the clients. Being an award-winning female architect makes a difference in the minds of many and increases moral. We want the architecture to resonate with our clients and for the team to feel proud of the work they’ve done. Do you have many systems in place? Whether they’re official or not, Carol has lists for marketing, projects and more. Most are handwritten since that works best for her. Her team has a calendar to map certain awards and has build the submission deadlines and processes into their overall process. Connect with Carol online at Carol Kurth Architecture + Interiors, on Facebook, Twitter, and Instagram.